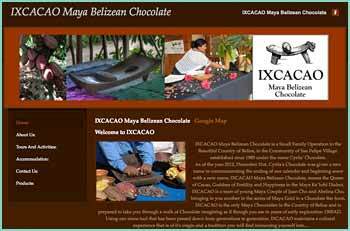 IXCACAO Maya Belizean Chocolate is a Farm to Bean process chocolate products. managed and operated by Maya Belizean in Belize. 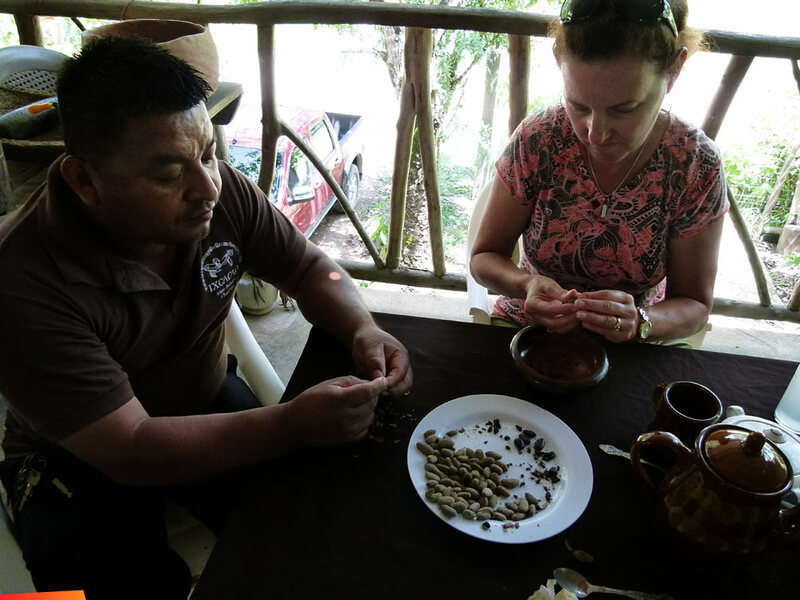 Owner Juan Cho and Abelina Cho (The Chocolate Queen) in the village of San Felipe in the country of Belize, our products are made using all organic Cacao Beans that is processed without the use of any artificial flavouring or synthetic stabilizers. Visitors can experience Chocolate but also teaching our children about healthy eating and appreciating our natural resources through chocolate. The drivers voice reels me in from the slumber induced by the equatorial sun and sine-like sway of traveling on these semi-dirt roads. Abruptly animated, my gaze jaunts towards the other passengers, outside the bus, and to the drool on my shirt. “Thanks.” I reply abashedly wiping the saliva from my chest and wringing the crick from my neck as I saunter off the vehicle. The yellow Blue Bird school bus chiseled into my childhood now decorated with a Caribbean flair and vibrant tropical colors rumbles onward to continue its route. “How did all these old school buses end up in Belize?” Pondering to myself lingering in the lucidity of the moment. Another lady loaded with grain and other food supplies from the market that also got off the bus asked if I needed any assistance. “I’m looking for IXCACAO,” sensing her innate concern. “My husband is currently on the farm touring with another family. He didn’t mention there were any other scheduled visitors,” she replied. “I believe I sent an email this morning,” I told her. “Giovanni,” responding with a smile. I pick up a sack of rice which must have weighed at least 10-15 kilos and followed her upstairs. My senses immediately struck by the miniature cacao trees and empty pods scattered across the property. The mixed aroma of fowls pecking around the property and fermenting cacao beans signaled my endorphins to assure me I was in the right place at the right time. She guided me through the preparation of a traditional chocolate chicken dish. Abolina was the matriarch of the family—or as she was known in the region, IX-CACAO (Queen of Chocolate)— and told me of the farms origins through several generations of her family's wholehearted practice of sustainable and organic farming. “Organic has been the way things have always been. The entire ecosystem does better when you plant a variety of crops and don’t use any chemicals or pesticides,” Abolina proclaims. 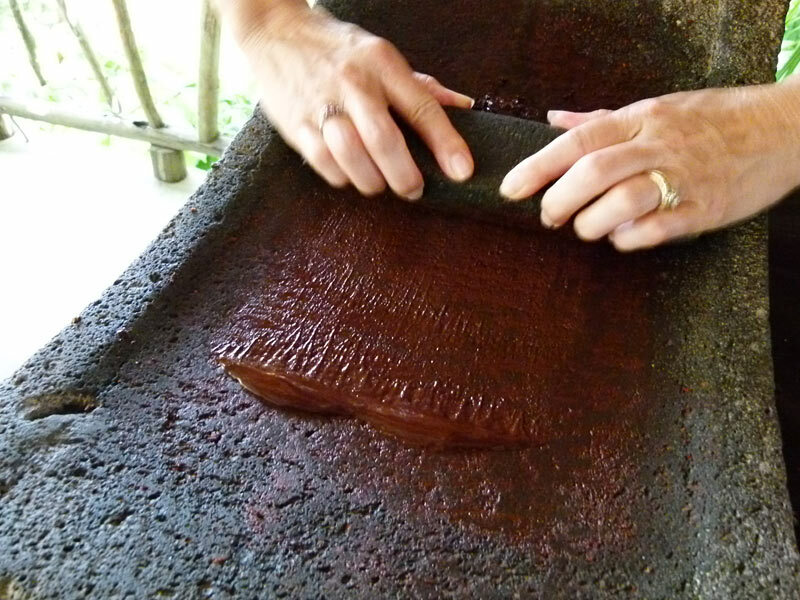 Her husband Juan, their children, and a handful of workers tended to the several acre farm which grew it’s own cocoa, sugar cane, and vanilla, which were the only ingredients used to make most of their chocolates and cocoa products. The grandeur of the cocoa tree comes not solely from the chocolate delicacies the world has grown to love over the past five centuries but in the fact that the tree must be grown in the shade. Thus, it requires an ecosystem of taller trees and other supporting flora and fauna. Subsidized by its surroundings. As her children arrived home from school we spoke about the current livelihood of the Mayan populations within Belize and the transmission of traditional cultural practices and language to the younger generations. Her family was K’iche Mayan and her children also spoke the K’iche language. In retrospect it was almost foolish for me consider the Mayans as one homogenous mixture of people. The combination of the cocoa, chicken, fresh local herbs and spices, the pumpkin, hearts of palm, rice and Mayan hot chocolate mixed with the humid tropical air osmosed into my being. The mixture of conversation and the addition of my culinary two cents ensured the perfusion of love into the meal. Simmering to its completion her husband Juan returns with an American couple and their two children. Having recently emigrated from the US to Belize they wanted to expose their children to the richness of life only provided by nature. 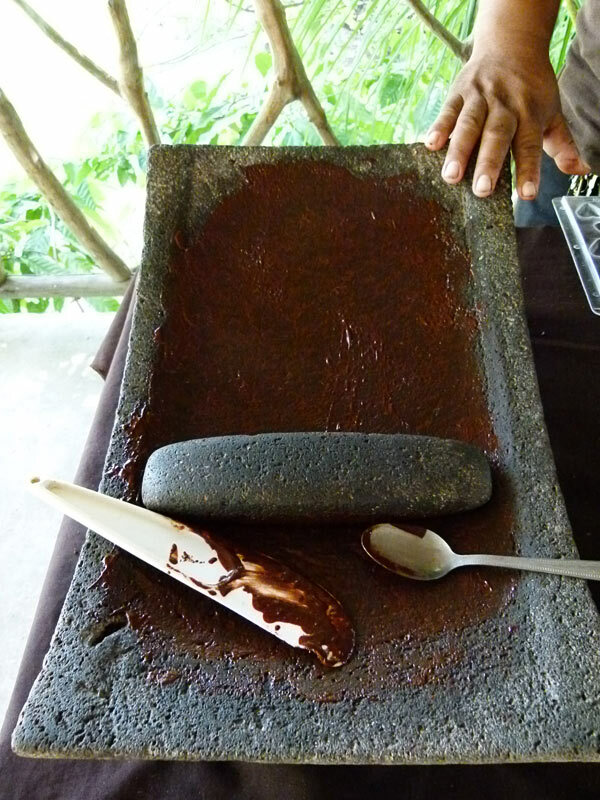 We all broke bread together, drank hot chocolate, and then proceeded to make chocolate by stone grinding fermented and roasted cocoa beans into chocolate liquor, adding sugar and grinding it further and then tasting it in the most traditional fashion possible, with our fingers. 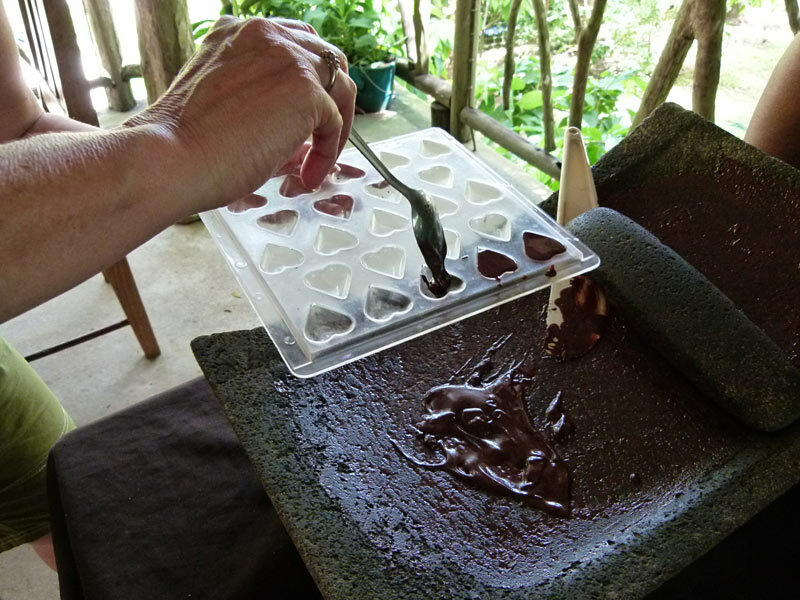 Prior to the invention of refrigeration chocolate wasn’t cooled and solidified into bars before being consumed. Scientifically named theobroma cacao. Translating from Latin meaning ‘food of the gods’. Consumed for centuries by inhabitants of Central America until explorers for Spain realized the reverence of the crop in creating an intoxicating state of vitality as well as being used as currency amongst certain Central American groups. The global love for chocolate has translated into several Cocoa Exchanges around major cities that regulate the price of cocoa for international transactions. Per capita Americans consume 12 pounds of chocolate annually. The Swiss lead the world in indulging themselves with a whopping 22 pounds per capita annually. Whatever quantity your personal indulgence of chocolate is, know that it is actually extremely healthy for you when consumed in the proper type and in moderation. Dark chocolate of at least 60% cocoa content is when the health promoting benefits begin to appear. There is a class of compounds produced by plants called phytochemicals. Plants produce these compounds in order to protect and heal themselves from environmental stresses such as pests and insects and toxins. When we consume these fruits and vegetables loaded with phytochemicals our bodies absorb the same antioxidant and anti-inflammatory properties, which benefits our metabolism. Phytochemicals fall into many different subgroups that differ based on the plant source. In terms of the cacao tree and cocoa, flavonoids are one of the groups of phytochemicals where much research has been directed. The British Medical Journal has found that consuming 100 grams a day of high quality dark chocolate is correlated in a 21% reduction in cardiovascular disease. Cocoa protects the epithelial cells with line the arteries. Do you remember looking at onion epithelial cells under the microscope at some point throughout the course of your education? The compound nitric oxide is metabolized from the consumption of cocoa along with being present in several other foods such as beets and spinach. Nitric oxide has been proven to relax and widen the blood vessels, increasing blood flow and lowering blood pressure. Thus, the heart is able to work more efficiently in circulating nutrients through the body. There is also a decreased tendency for blood platelets to stick together. These blood clots in the bloodstream are the cause of stroke and embolisms. Athletic research has shown the presence of nitric oxide within the bloodstream to increase physical endurance by up to 50% after the consumption of cocoa. It can possibly give athletes the extra all natural edge they need in various competitions. Cocoa creates better cerebral perfusion (blood circulation), nourishing our brains gray mater, boosting mental energy and concentration, and improving memory as proven through tests and clinical trials. At the time of this writing I have consumed at least 40 fluid ounces of my own spicy hot chocolate mix, had several handfuls of dark chocolate in my oatmeal at breakfast and throughout the day, and have consumed some dark chocolate ice cream after dinner. The Journal of Cardiovascular Pharmacology has looked into the benefits of compounds present in cocoa to treat dementia and stroke. The flavonoids are extremely efficient at chelating metals from our organs, tissues, and cells. The buildup of these heavy metals from our food, water, and environment has been shown to lower IQ, damage nerve function, and increase the incidence of neurodegenerative diseases such as Alzheimer’s, Parkinson’s, and other forms of dementia and debilitation. The ability of cocoa to reverse these conditions is still yet to be discovered. However, there is enough research to support the consumption of dark chocolate in preventing these chronic disorders when combined with an overall plan for whole body health. The flavonoids present in chocolate have demonstrated abilities to boost the performance of vitamin A, C, E, and certain minerals in their antioxidant capabilities. Along with removing free radicals from the body, cocoa has also shown the ability to enhance the immune system, scavenge carcinogens, and provide antitumor effects to the body. Nitrosamines are compounds found within cured meats, alcohol, tobacco, pesticides, certain cosmetics, and foods containing sodium nitrite/nitrate just to name a few sources. Research has shown these compounds increase the potential for various cancers. Cocoa helps remove nitrosamines from the body and reduce the cancer risk caused by them. Cocoa also supports decreases in LDL (low density lipoprotein) cholesterol known as the bad kind and increases in HDL (high density lipoprotein) cholesterol known as the good kind. How to choose the proper type of chocolate? If you are going to consume a chocolate bar skip past the Hershey’s and other large producers as their practices support the growth of cacao that is not sustainable and only degrades the environment. 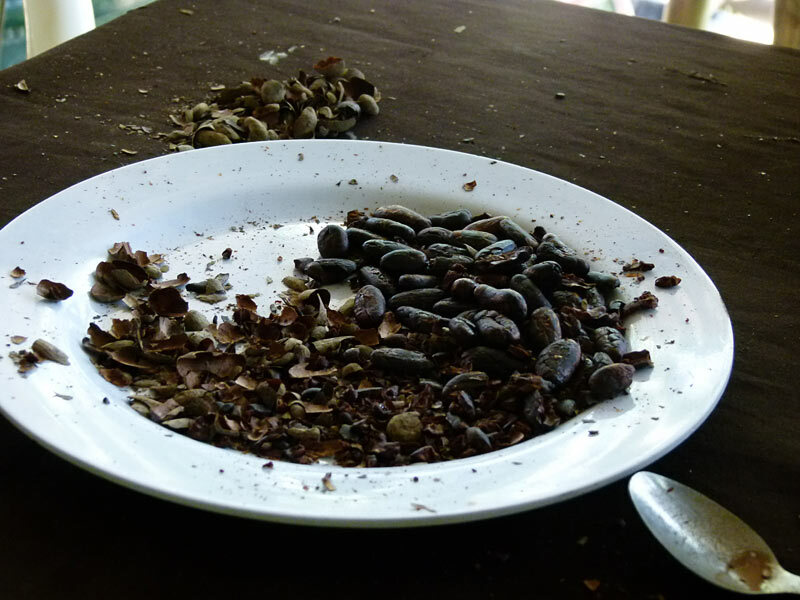 Most large producers use harmful chemicals to process the cacao beans. Also, small family farms end up being economically crushed despite growing cacao for generations ethically and organically. SUPPORT FAIR TRADE, FAMILY FARMS, AND ORGANIC GROWERS. You will want to choose chocolate bars that are at least 60% cocoa by content. The higher the cocoa content the greater amount of flavonoids and health promoting qualities. My personal preference lies within the range of 70-80% cocoa content. So many factors go into the taste and depth each individual chocolate bar possesses. 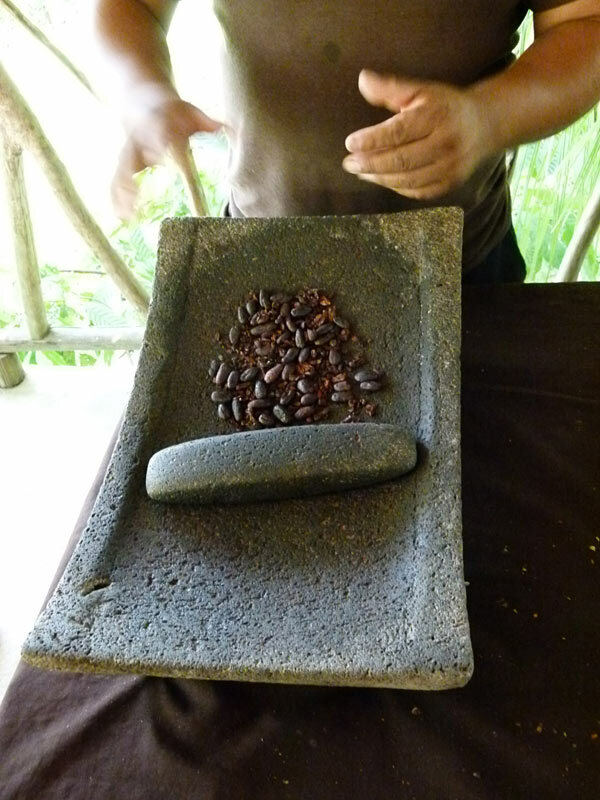 What types of cacao trees was the cacao harvested from? The secret processes and recipes all chocolatiers guard in relation to the creation of their products. Chocolates are as exquisite as any wine or cheese and vary based on recipe and region in the same effect. However, in order to maintain the chocolate you are consuming is healthy stay away from milk chocolate, white chocolate, or anything below the 60% cocoa content marker as you will be consuming more sugar, artificial ingredients, fats, filler and less flavonoids. 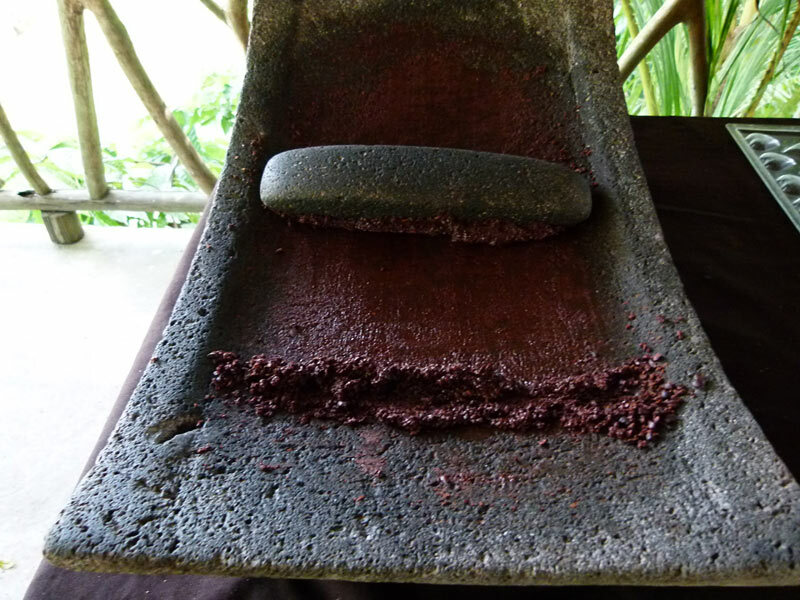 Raw cacao nibs have been touted as a super food due to the antioxidant qualities they possess. However, they are extremely stimulating and should be consumed in moderation for people with sensitivities to caffeine and stimulants. In terms of cocoa powder look for those that have not already been sweetened. Also choose non-dutched or non-alkali cocoa powders. 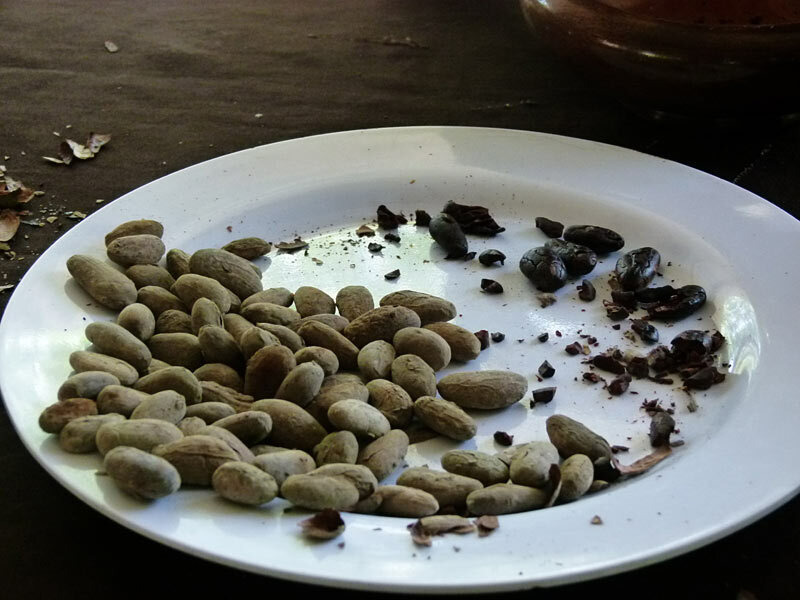 This is a process that removes some of the bitterness of the cocoa but also destroys a large percentage of the flavonoids. With the heart of the winter upon us especially here in the northeast U.S. it is the perfect season for hot cocoa. This recipe will create a large pot of cocoa you can share with family and friends or consume throughout the day by yourself. Bring 8 cups of water to a boil. Add 4 TBSP of a high quality fair-trade, organic, non-dutched/non-alkali cocoa, 3-4 TBSP of raw sugar (you can also use raw honey but it is best to stir the honey into the individual cups as you serve the hot cocoa), 2 tsp cayenne, 1 tsp cinnamon, 1 tsp turmeric and allow the mixture to simmer while stirring for about 15 minutes until about 1/5 of the water has evaporated. Grab your favorite mug and a pinch of love and enjoy as you boost your cardiovascular and cognitive health and warm up your body and mood. Simply put, consume more high quality dark chocolate and pure cocoa products. As always this has only been a glimpse into the properties of cocoa and chocolate and I always encourage readers to find texts and do the research themselves to supports the notion of food being medicine. 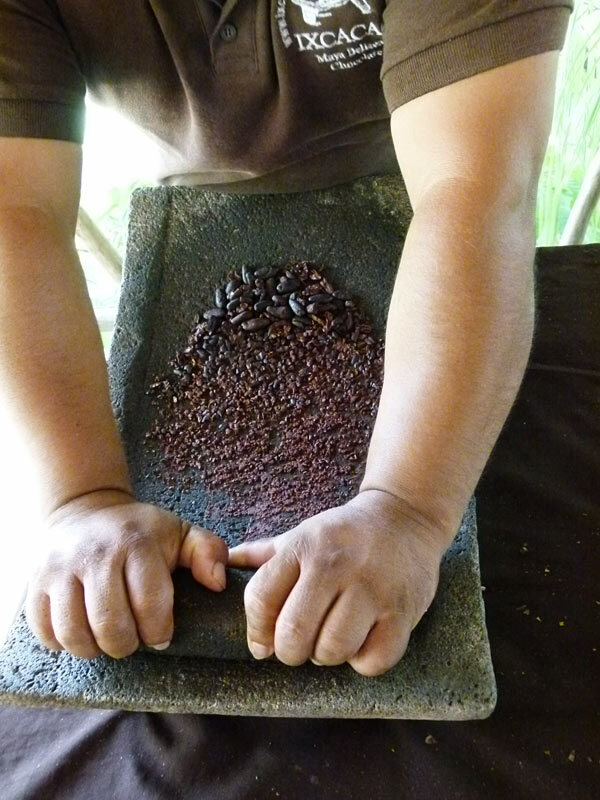 I dream of the day when I can source cocoa and other chocolate products for culinary and health based goods I shall concoct from small family farms such as IXCACAO in Belize.